Body Butter: 4oz for $7..
Chocolate Rose Bar 1 ba..
Doodle Bug Massage Bar .. 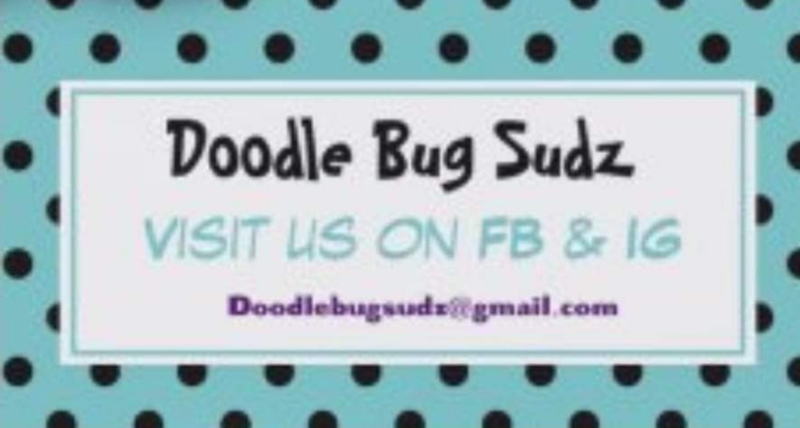 Welcome to Doodle Bug Sudz!! Please take a moment to browse around. We have something for everyone, for the men, the women & the doodle bugs in your life, yes we mean everyone! If there's something particular that you want but don't see please reach out to us we're always open to suggestions & trying new things & we'd love your feedback! Thank you for visiting us! We'd like nothing more than to be your go to for your bath & body needs. Please read our "ABOUT" section by clicking the top right drop down box & then click on "ABOUT"